Do you combat Climate Change? Are you an innovative entrepreneur with a sustainable business plan that contributes to an eco-friendly lifestyle and reduces greenhouse-gas emissions? Your plan might be worth €500,000! Sign up for the Postcode Lottery Green Challenge 2018: a global search for the best green business plan to combat climate change. A competition for bright entrepreneurs that successfully fuse sustainability, entrepreneurship and creativity. With a combined total of €1,000,000 in prize money, the Postcode Lottery Green Challenge is one of the largest annual competitions in the field of sustainability. The winner receives €500,000 to further develop their service or product and bring it to market within the next two years. 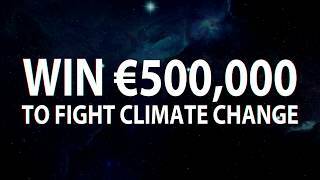 The runner-up will receive €200,000 and the three other finalists will win €100,000 each. Entrepreneurs from all over the world can submit their sustainable business plans until the first of June, 2018. All entries must be submitted in English. In mid-July, the organization will announce the 25 nominees who are in the running for a position as a finalist. In mid-August, five finalists will be selected for the final round of the competition. If you have been selected, you will be invited to attend the grand finale in Amsterdam on September 13. There you will present your business plan in front of a selected audience to an international panel of experts. The winner will not only take home half a million euros, they will also receive six months of expert coaching and help in bringing their idea to market. 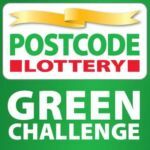 The Postcode Lottery Green Challenge competition is organized by the Postcode Lottery (active in the Netherlands, Sweden, the UK and Germany). Curious to see which startups have won before you? Check here. Please review the Entry criteria and FAQ.